It was 9am and the temperature was already close to the expected 32 degrees Celsius. November time in Myanmar is hot and dry and daily temperatures hover between 32 and 34 degrees. 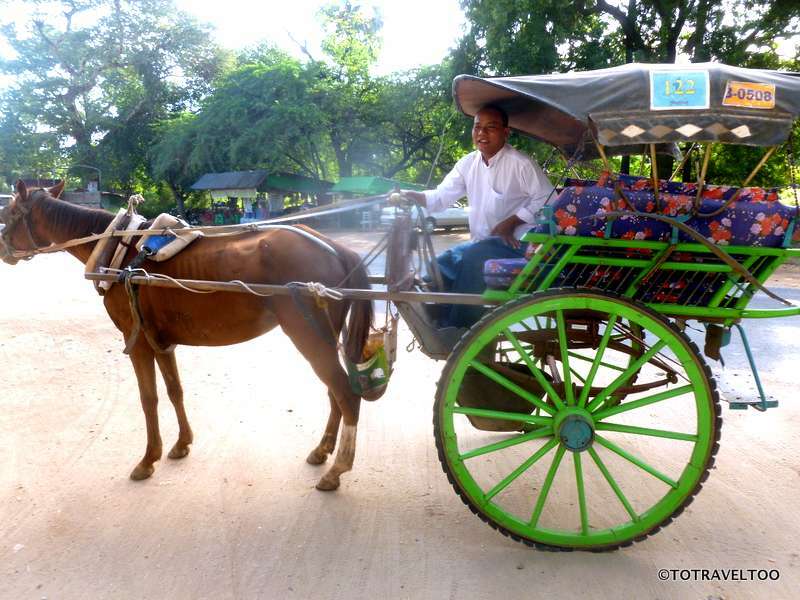 Wilson, our driver, appears at the entrance to our hotel – the Bagan Umbra – with his trusted horse already hitched to the cart and ready to go. He checks that we have ample water, sunscreen, insect repellant and a hat as we are not expected back at the hotel till after sunset. 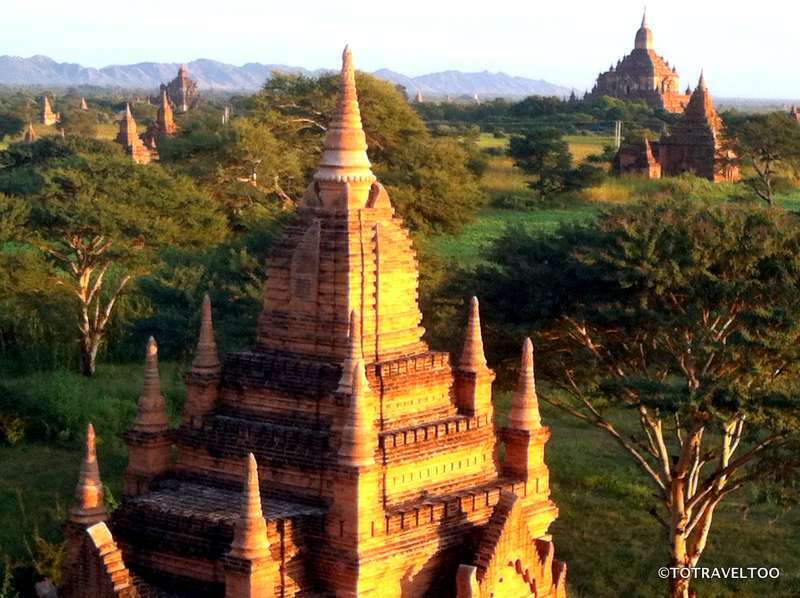 Bagan, located in the Mandalay region of Myanmar, is famous for its 2,200 temples and pagodas that lie in an area of over 104 square kilometers. Once the Capital of the Kingdom of Pagan during the 9th – 13th century the area originally had well over 10,000 Buddhist temples made up of 1,000 stupas, 3,000 monasteries and 10,000 small temples. Between the years of 1904 and 1975 the area experienced over 400 earthquakes, which damaged thousands of the temples leaving only 2,200 standing. During the 1990’s the Military of Myanmar took it upon themselves to renovate and repair those that were left standing. Unfortunately they used modern materials and their renovations were not sympathetic to the original construction and features of the temples and pagodas, even to the extent of building over some. Myanmar has approached UNESCO to apply for World Heritage Status but due to their approaches to the renovations UNESCO has declined at this stage. 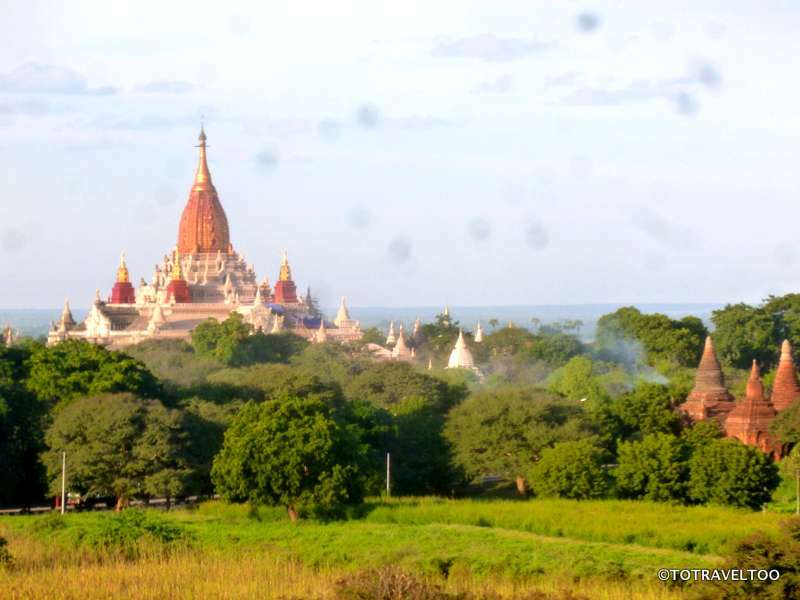 The Upali Thein Ordination Hall was built in the mid 13th century and stands across the road from the Htilominio Temple. The temple was named after the well-known monk Upali. 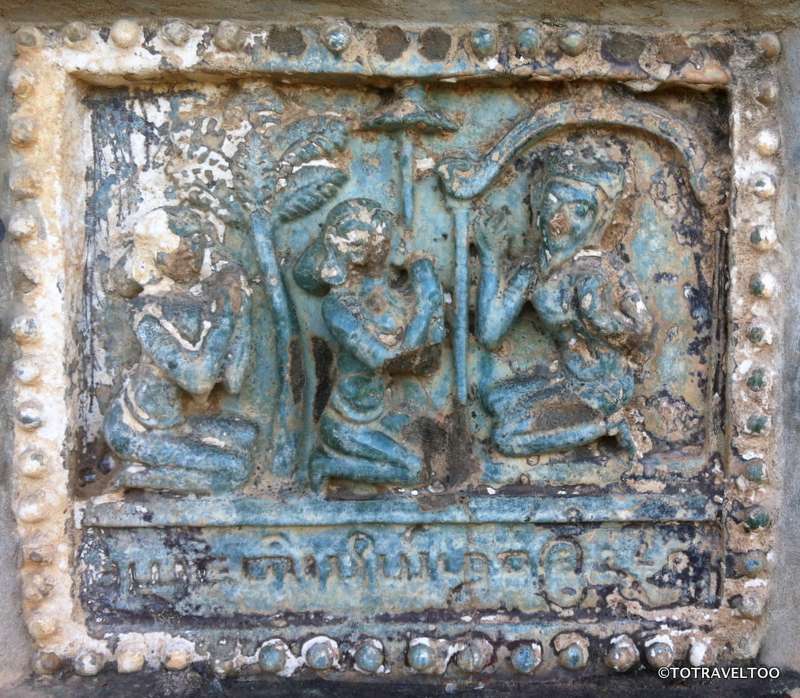 The walls are covered in 28 frescoes of Buddha images and scenes from the life of Gautama Buddha; the building is kept locked in order to protect these frescoes. 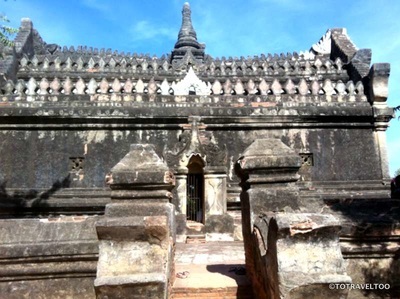 These halls called Thein in Myanmar were used for the confession of the monks as well as their ordination ceremonies. We arrived at the Mingala Zedi Temple as local families were cleaning the Buddha inside the temple and where later they would make offerings and settle down to prayer and worship. 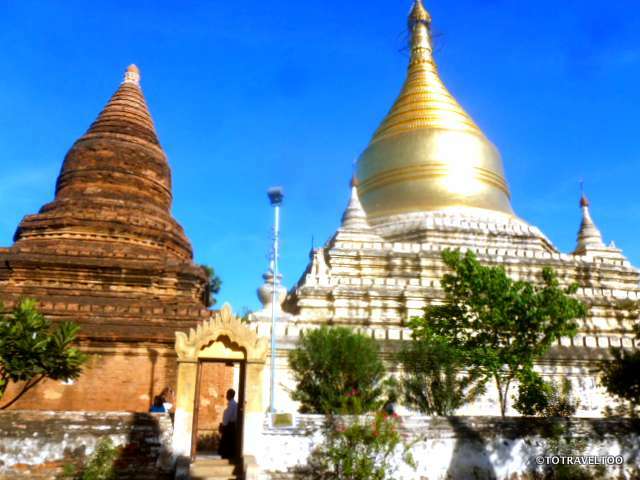 Mingala Zedi means “Blessing Stupa” and dates to around AD1277. Taking 6 years to build this was the last temple built before the decline of the kingdom. The temple houses some of the Jataka Stories plaques. ​​The Jataka Stories are the stories of the early 10th century depicting the former lives of the Gautama Buddha. The Jatakas show teachings on how to become good Buddhists and how you can be rewarded for living a moral life. 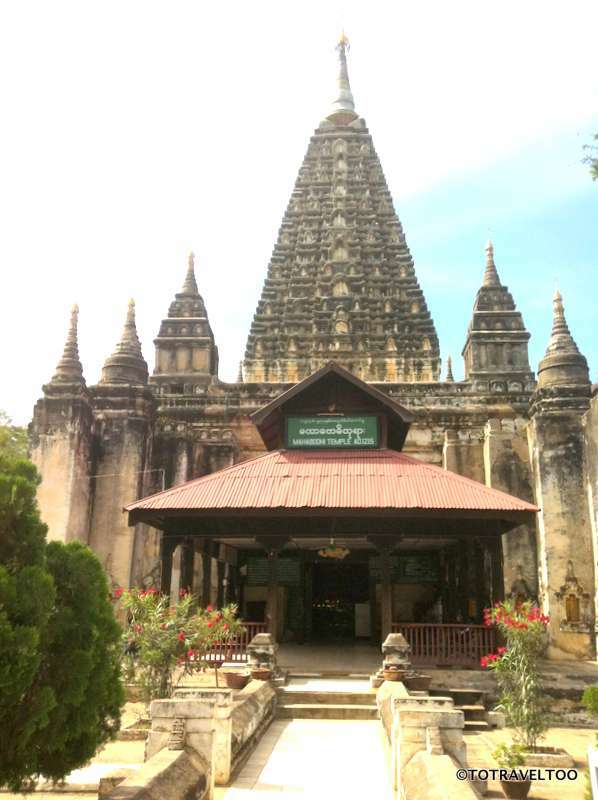 The Bupaya Pagoda is located in the old walled city of Bagan on the banks of the Ayeyawady River. 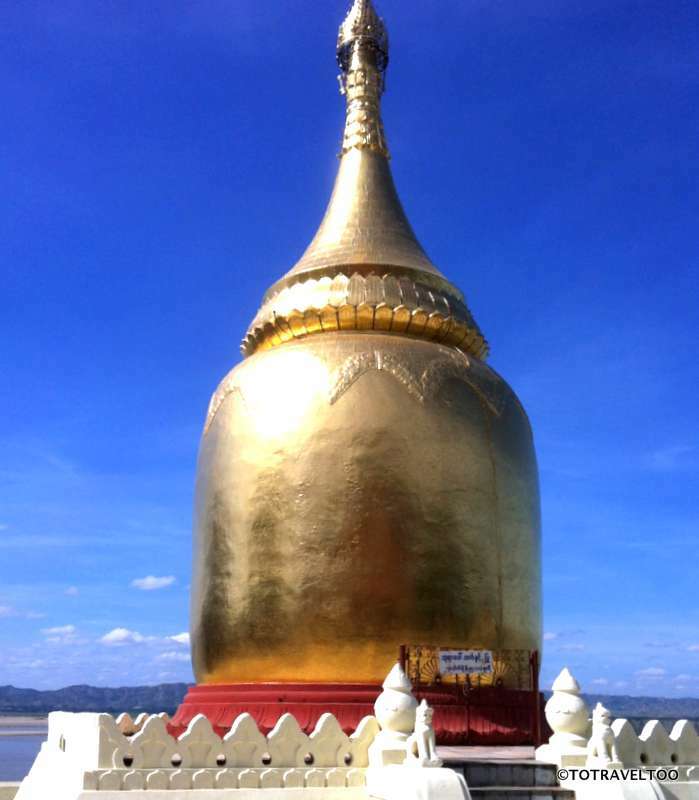 It was built in AD162 – Bupaya means ‘a gourd shaped pagoda”. 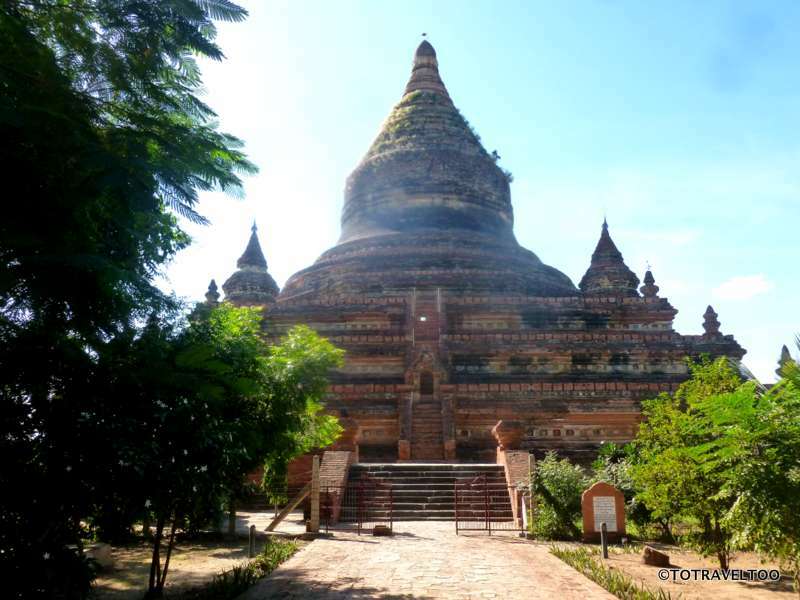 The Pyu style Stupa is the oldest in Bagan. It has been rebuilt since the earthquake of 1975 where it was completely destroyed when it toppled into the Ayeyawady River. It is a popular spot to watch the sunset from. The Myazedi Pagoda is located in the Myinkaba village of Old Bagan. It dates back to the 12th Century. Myazedi means “Jade Pagoda”. Prince Kumar built the Pagoda in the memory of his mother. Prince Kumar was the son of King Kyansitthar who did not know that he had a son and on his death gave the throne to his grandson. The Mahabodhi Temple lays in the walled city of Old Bagan and resembles the Mahabodhi Temple in India. The two-storey structure is built in Central Indian Style and dates back to the 12th century. During the earthquake of 1975 it was badly damaged and has recently been restored. 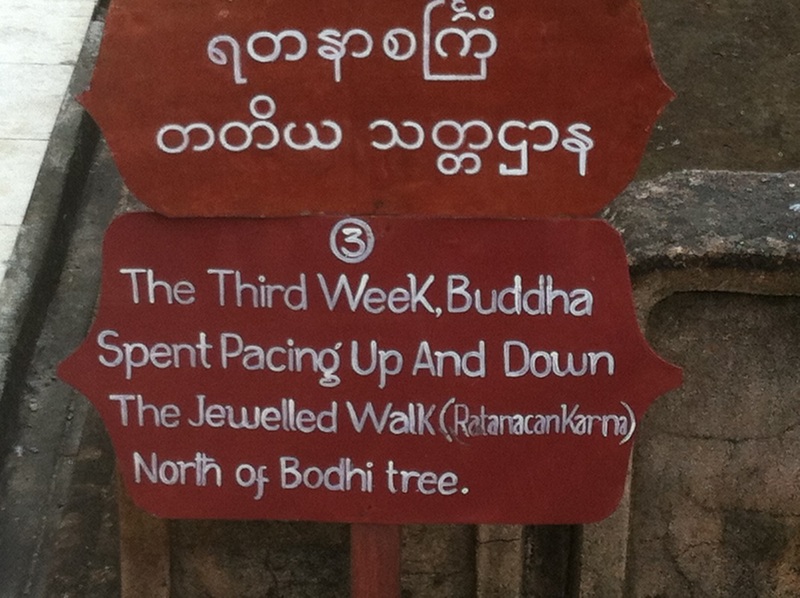 In the grounds surrounding the Mahabodhi Temple you will find seven signs depicting the seven weeks the Buddha spent after reaching enlightenment. The fourth week the Buddha created a jeweled chamber and meditated inside it. The fifth week the Buddha spent meditating under a Banyan tree. It is said that three beautiful girls, the daughters of the demon Mara, danced in front of him in an unsuccessful attempt to stop the Buddha from meditating. ​The seventh week the Buddha meditated under a Rajayatana tree where two merchants appeared and offered the Buddha rice cakes and honey. The Buddha told the merchants about the Dhamma (the Buddhist teachings) and they are said to have become the first followers of the Buddha. ​The Ananda Pagoda is known to be one of the most beautiful temples and well preserved in Bagan, dating back to 1105AD. The Gilded Sikhara (the tower like spire on the top of the Pagoda) can be seen from miles away and is lit up at night. During the 1975 earthquake it suffered quite a lot of damage but has been recently restored. There are many ways to visit the temples around Bagan, by bicycle, horse and cart, guided air- conditioned coach tours or an early sunrise hot air balloon ride. There are a few temples that can be climbed for sunset viewing, the drivers will assess which are the less crowded and will get you there in time for sunset and the magnificent views from the Ayeyawady River to Bagan.